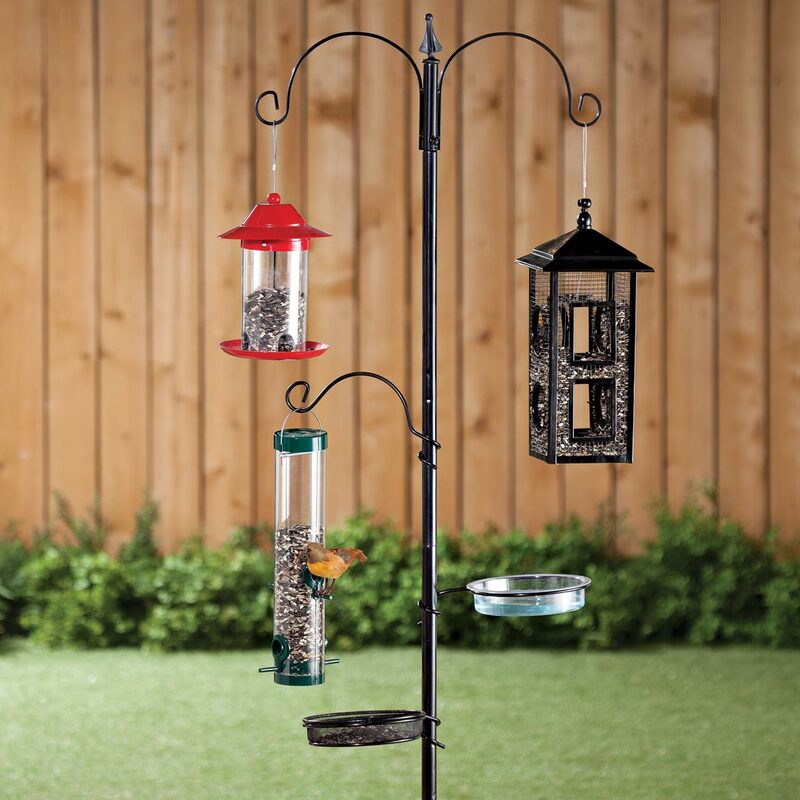 I chose this feeding station because of its style and the convenience of using more than one feeder on it. 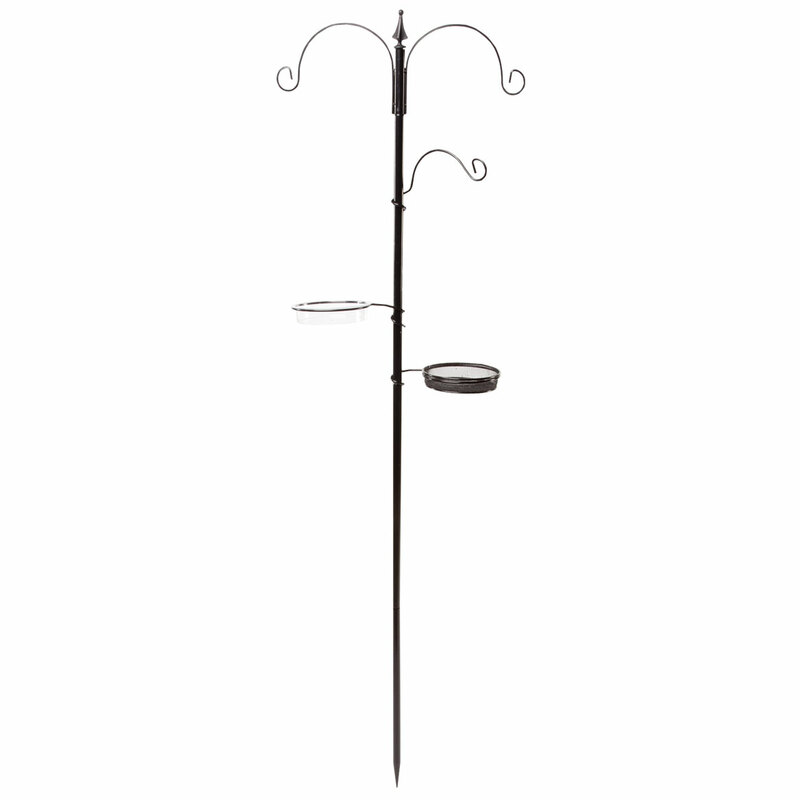 I bought one of these poles a few months ago and it is great. I bought a second one because a friend admired it and wanted one as well. Best price I could find online, and looks like it will be of great quality. Have my bird feeders in a tree. Would like to try the feeding station. To make a place for bird feeders. Good price. How is it secured into the ground? What diameter is the pole? What is the stand made of? BEST ANSWER: The bottom portion is pointed so you can sink it into the ground. The post is about 1" in diameter. Although the description says it's 6' tall, it depends on how far you drive it into the ground. Mine ended up being about 5 ' tall. I think this is a great value for the money!! BEST ANSWER: It is very strong and durable. I live in New Bern, NC and it was in my back yard through hurricane Florence. I absolutely love mine. Yes, mine has and I'm from MI. Holds very firmly in the ground and doesn't lean when things is put on it. this birdfeeder has held up well.i even bought my mother one.